A fun day out.. and a visit to Fun Kee noodles.. I have often wondered, what makes the perfect wantan mee or wantan noodles. Heck everyone in KL has their favourite that they will defend to the bitter end but.. I know that some people only go for the sauce or the wantan, while others place more emphasis on the texture of the noodles, or the caramalization on the charsiew. But why can’t there be just the perfect plate of wantan mee, that has the perfect balance of everything? Springy handmade noodles, a good thick sauce, melt in your mouth charsiew, bouncy wantan.. and most importantly, a plate that is reproducibly and consistently good? We, C&C, have our favourites but even these stall have their off days. I think the hallmarks of a good wantan noodle shop is that it is at least 90% of the time consistent, and is priced affordably too. God knows we have enough of those stalls that keep hiking the prices year after year. 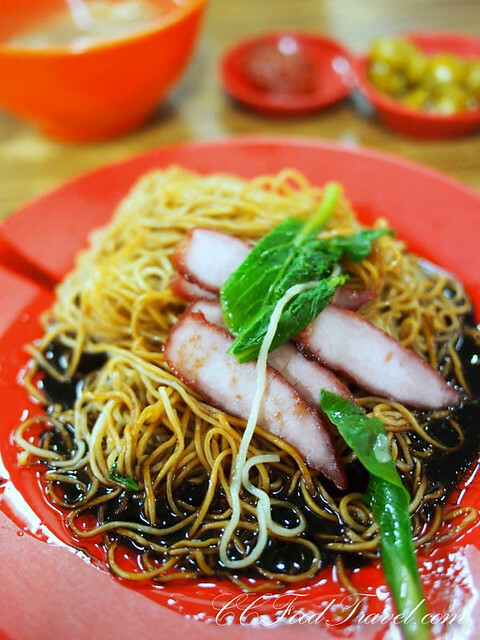 One of the better plates of wantan noodles that we like can be found at Fun Kee Sungai Besi. 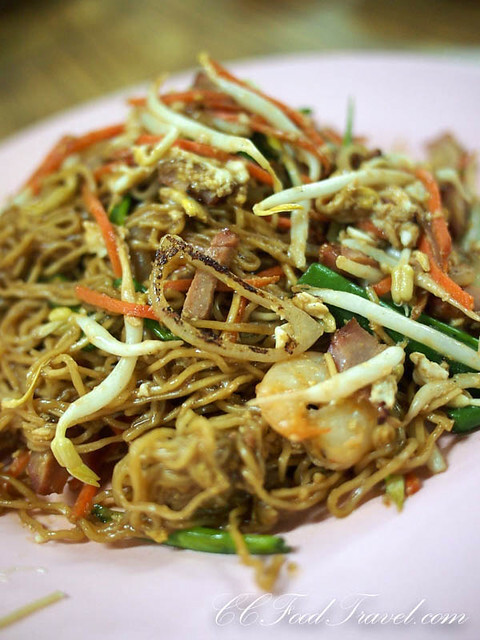 Not just great wantan mee, but also a whole range of other Cantonese stir fried noodles. Here at Fun Kee, I find the wantan pretty irresistable. They are slippery and smooth, but when you crunch into the center, it is bouncy and succulent. Charsiew wise, I have had better. A certain shop in Kepong is still our favourite for half lean – half fat charsiew. I also like the unapologetically heavy lard in the wantan mee noodle sauce here at Fun Kee. It has a distinctively rich and round flavour. Awesome stuff. The Fun Kee egg noodles are bamboo made and springier (some might say slightly hard but I like it) and they retain their texture throughout the meal. I don’t like soft noodle so these are perfect for me. The char siew is the traditional type made from lean meat with bright red colouring and little charring. Like I said, not the best I’ve tried but it will do. Most nights, we order three types of noodles between us and share it. Of the three – the Charsiew wantan mee, the Cantonese-style Fried Beef Kwey Teow (Korn Chaw Ngau Hor Wat Tarn Ngau Yuk Hor Fun) and the Specialty/Trademark Noodles, my favourite is usually the Specialty Noodles. 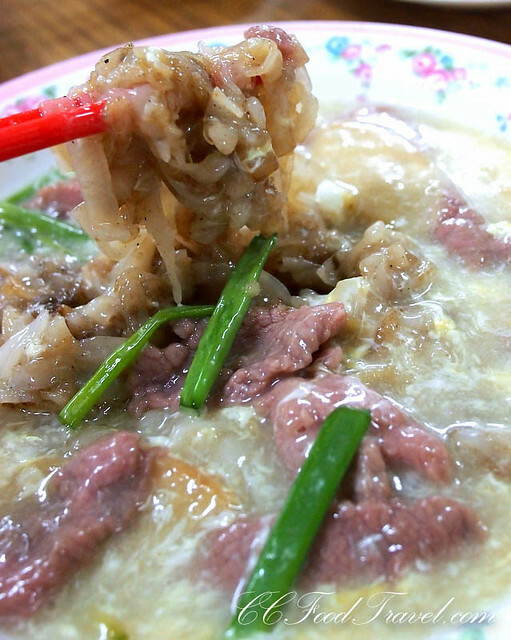 The Cantonese-style Fried Beef Kwey Teow has a gorgeous ginger flavour, is super slippery and the beef, incredibly tender. I love the way you need to grab the beef twice with your chopsticks, because it is so smooth, it tends to slip. I suppose it is the corn starch they coat their beef in as well and they secret way of preparation that only Fun Kee cooks know. Finally our favourite dish of the day is the specialty noodle. It is greasy, and full of wok-hei (smoky aroma from wok frying). 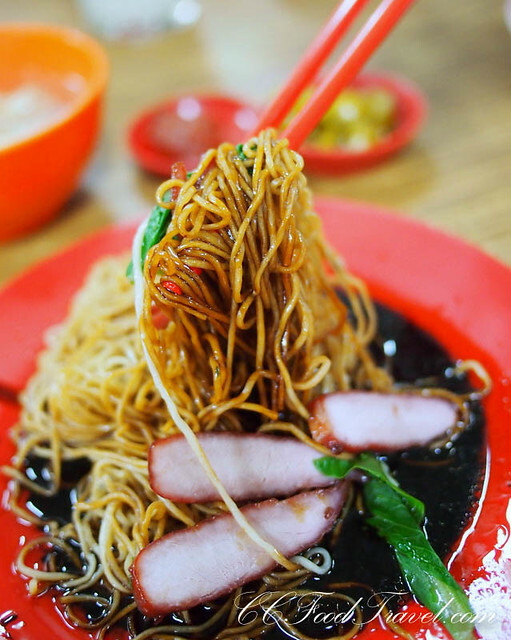 This Specialty noodles looks like the Sing Chow Mai (Singapore fried noodles) but is more of a cross between a Charsiew Noodle and the Singapore fried noodles. Highly recommended. Besides these dishes, the restaurant offers wantan noodles with different toppings (eg. braised pork with woodears, chicken feet, minced pork etc. ), fried rice (apparently recommended by the owner) and the usual fried noodle selections (eg. Cantonese style fried egg noodles, hokkien mee, yin yong, etc). Fun Kee itself has been around for close to 50 years and the furniture and flooring sure shows. Old wooden chairs and a mix of wood and marble tables makes me feel like I’ve just stepped into an old coffee shop in Ipoh. This look will probably still stick for the next 50 years. Fun Kee is located next to that racy sports car shop on Sungai Besi. There is also the other popular late night/wee hours wantan mee about 500m down the road which has always been a hit with the ‘late night supper seekers’ .. plus there is the ‘after-party crowd’.. that is if they survive the weekend police road blocks that are ever present on Sungai Besi. No. 174-5, Jalan Sg Besi, 57100 KL. Keep meaning to try this place but always no parking available nearby so lazy edi. Haha! Now, I want noodles – oodles of them, for lunch, todayyyy!!! Overrated place. Noodles texture is ok but the char siew & wanton were lousy. They have acquired the skill to thinly slice a piece of char siew to maximise profit. I have never eaten such a tin slice of char siew before in my life. As for the wantons, it was so soft till you cannot taste the meat. They must have added lots of flour instead of minced pork meat inside. Tokeiya @ Kobe, Japan – eating kobe in kobe!